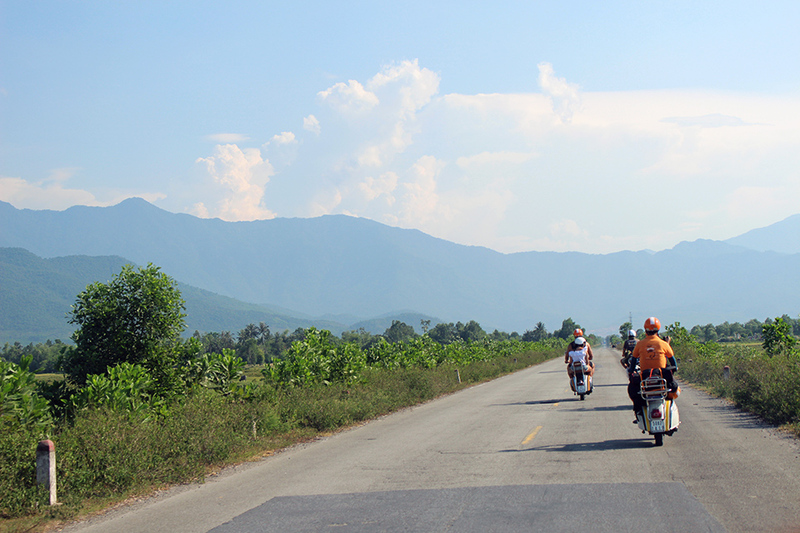 From Hoi An to Hue, venture through the mountainous Hai Van Pass, one of the most famous stretches of road in Vietnam, and along the scenic coast. *IMPORTANT NOTE* This tour is a one-way, full day tour. 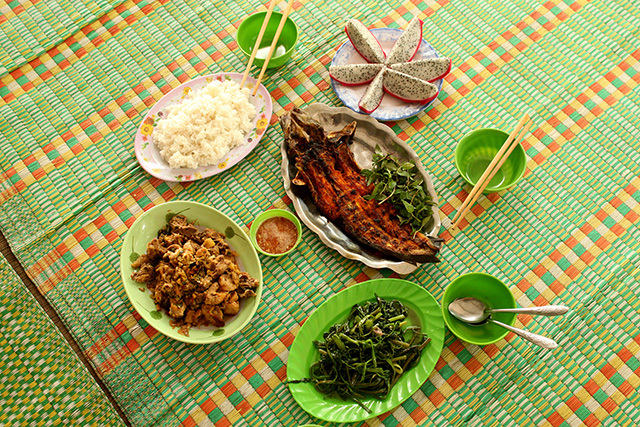 We begin the adventure in Hoi An and conclude at your hotel in Hue. 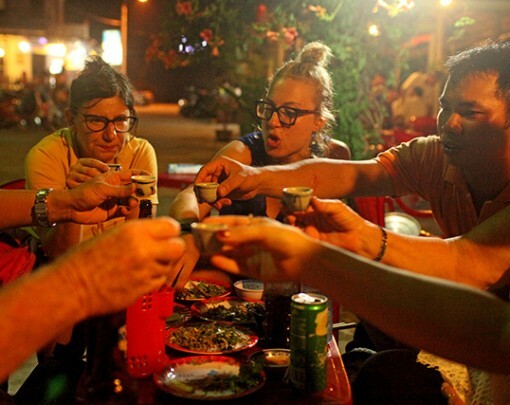 We can help you arrange private transportation if you would like to return to Hoi An that evening. 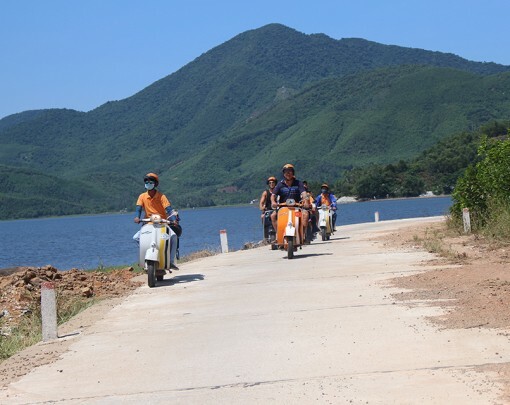 This tour can also be started in Hue, concluding in Hoi An. Luggage transportation is included (click here for this tour from Hue to Hoi An). 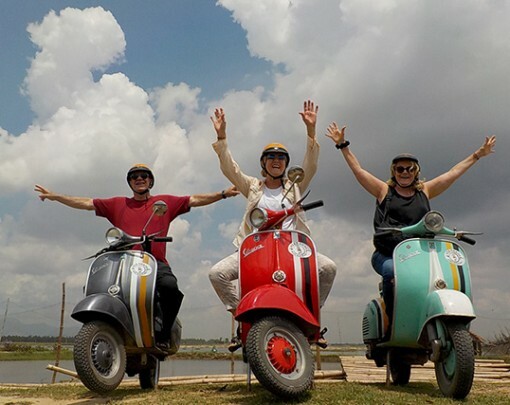 We begin our Vespa Adventure as our experienced drivers bring you out of Hoi An and along the coastal road stopping at the north end of the world renown Da Nang Beach to see the locals involved in the fishing trade. Then after a quick break on the suspension bridge overlooking Da Nang City and the fishing port, we head along Da Nang Bay where we stop at a fishermen’s temple. 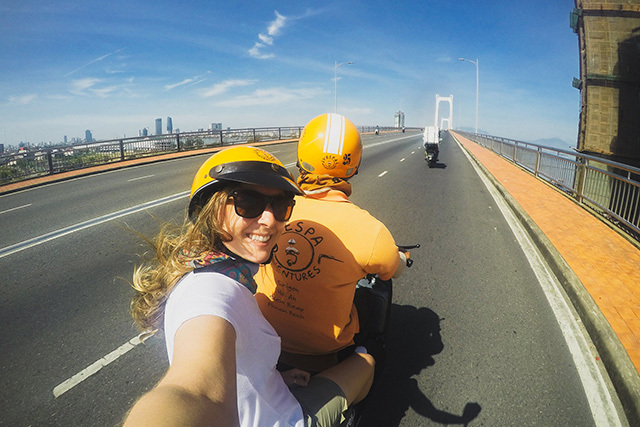 Heading up the famous Hai Van Pass by motorbike, we’ll take in the amazing views over the bays before stopping at the top to see the old war battlements and bunkers and learn about the fascinating history and strategic importance of the pass. We will also fuel up on a local style coffee. 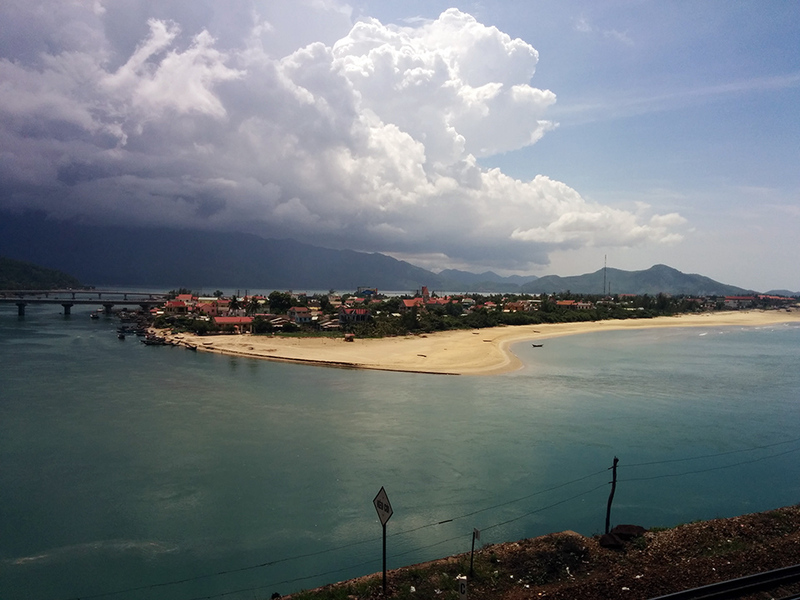 Then it’s down the Hai Van Pass for fun hairpin bends and windy hill roads, before taking a brief stop to take in the amazing view of Lang Co Beach and Lagoon from near the level crossing. 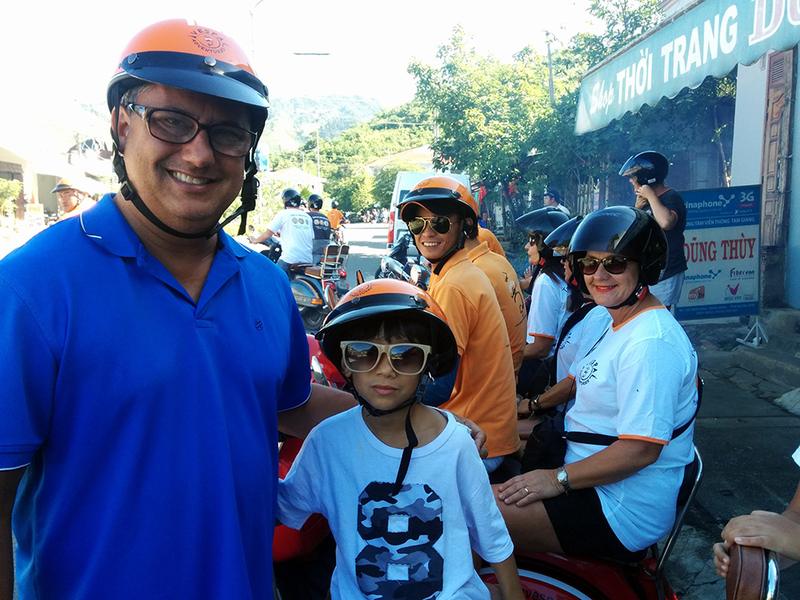 It’s back on the Vespas and after riding around a lagoon adorned with stilted houses and oyster farms, we’ll have a well-deserved Vietnamese lunch in a delightful local setting (seasonal). Our fascinating ride continues as we head north on to the quieter coastal road, passing through the magnificent rural countryside. 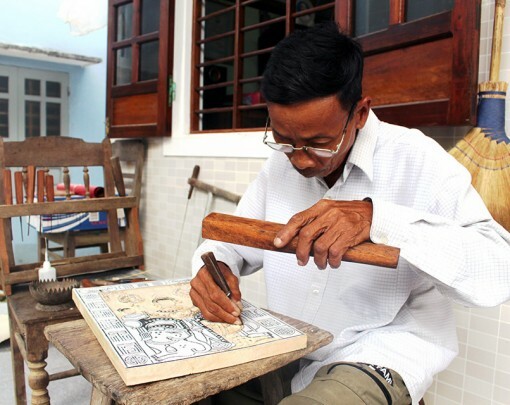 We ride past many ancestral houses and tombs which play an important part in Vietnamese culture, known as the ‘City Of Ghosts’. 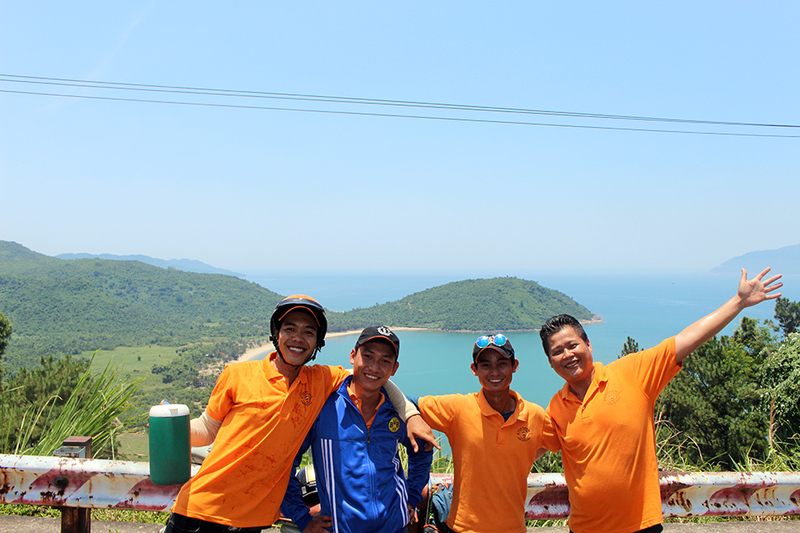 We’ll then jump off the bikes and head up to a hilltop Buddhist pagoda with stunning views of the huge lagoon. After a break in a local cafe, we visit and learn about the history of a thousand-year-old Cham Temple and the Champa Kingdom. 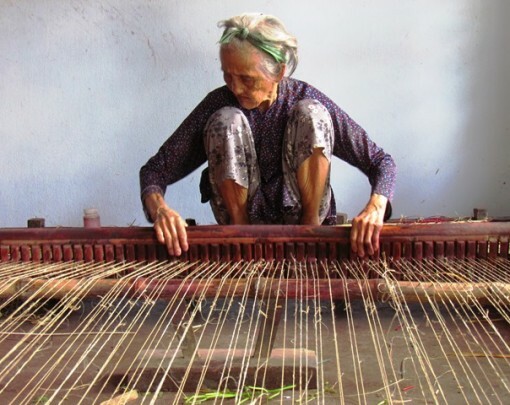 Our final stretch takes us through yet more beautiful rural landscapes and local villages, we visit a local family making fish sauce, pass by many ornate tombs and ancestral houses and check out a local boat building yard before arriving in Hue city. 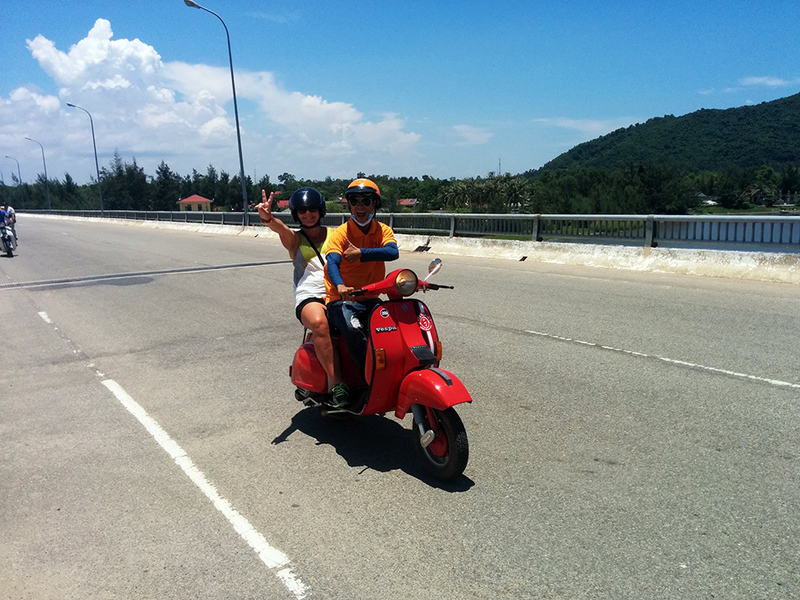 The day and Hai Van Pass tour will conclude in Hue with drop off at the hotel. 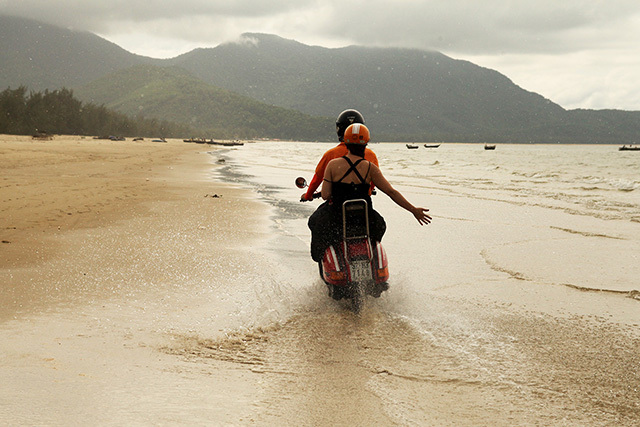 Highlights* – Da Nang Beach, Hai Van Pass by Vespa motorbike (like Top Gear! 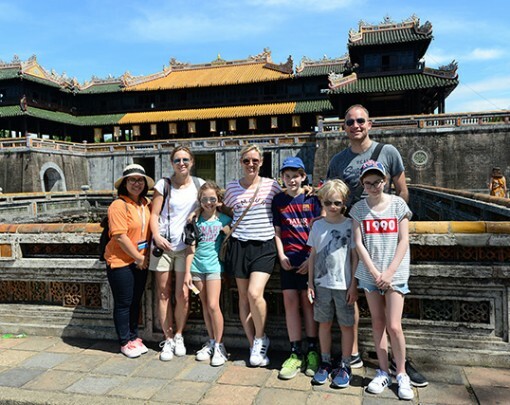 ), old war bunkers, hilltop Pagoda, ‘City of Ghosts’, Cham Temple, classic Vietnamese lunch, local fish sauce making family, boat building yard, conclude in Hue. Looking for an even bigger adventure? 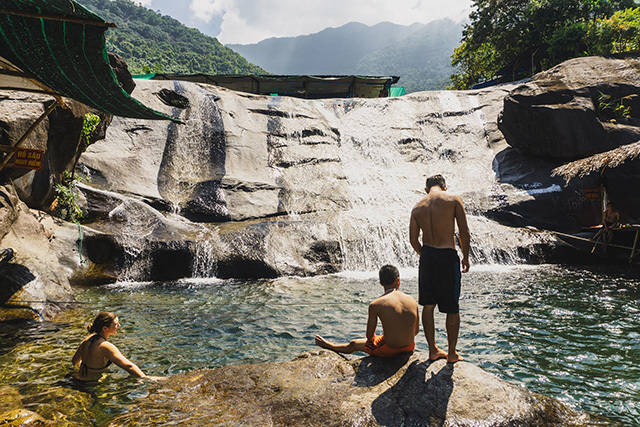 Take a look at our brand new Central Vietnam Trails & Tribes 7-Day All Inclusive tour. 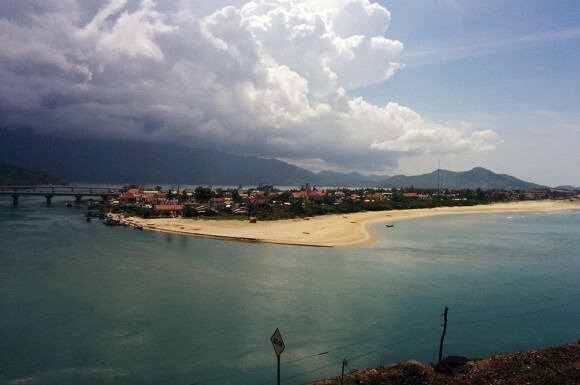 Please check here to ensure you'll begin this tour in Hoi An. If you would like to drive, click here to acknowledge we require: 1.) Experience driving with a clutch 2.) A copy of your motorbike license from your home country 3.) Pass our short driving orientation.